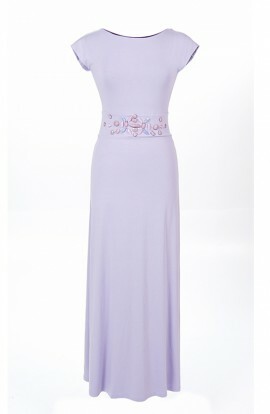 Stunning fitted dress with 3/4 sleeves, that flatters everyone. Fully lined with a cobalt blue soft poly. The zigzagged material stretchy enough to fit you at the right places and doesn't show any lumps and bumps. Stunning fitted dress with 3/4 sleeves. Fully lined with a cobalt blue soft poly. The zigzagged material stretchy enough to fit you at the right places.